In Romeo and Juliet, William Shakespeare wrote, “A rose by any other name would smell as sweet.” In his poetic fashion, Shakespeare was telling the audience that it was not the name or title that mattered, rather it was the essence of the person (or thing) that was important. While I find it difficult to criticize one of the world’s greatest writers, I must disagree with him on this point. Names are important. What you call your mailing operation is not some mere detail, but an essential duty in your roles as managers. Isn’t our birth name important? It’s normally the first thing we learn to spell as children. We make sure others spell it right and pronounce it correctly. If we have a nickname, we make sure people use that right as well. Watch what happens when you call someone “Rob”, when they go by “Bob”. Or “Suzie”, when “Sue” or “Susan” is preferred. In the past, most of us this industry were known as “Mailroom Managers”. But you can’t manage a room; you manage an operation. Thanks to many leaders in the industry, this term has begun to fall from use. For some, it’s even considered pejorative or insulting. It’s more common today to hear of units called “Mail Services”, “Corporate Mail Services” or “Mail and Distribution Services”. The focus has correctly shifted from the room where the work takes place, to the service that the unit provides. For many operations, providing mail services is only one aspect of their responsibilities. It’s not uncommon for units to also handle printing and courier services. I’ve been part of one group that distributed airline tickets. Mail may not even be the most important function the unit performs. A few organizations have produced some interesting names for their departments. When I was at State Street Corporation, our unit handled mail, document services, receiving and transportation. As part of a company that is a leader in information systems, the department chose the name, “Document Technology and Delivery”. It encompassed all of what we did, and it provided a great acronym – "DTD". Creating a name for your department is a worthwhile exercise. And it’s not something you should do on your own. Involve the people who will be most impacted by the new name. Put together a team of your unit’s managers, supervisors and employees. Start by conducting a brainstorming session. It’s important that all ideas are accepted and no one is criticized. List all the mail services that your unit provides. For example inbound mail, interoffice mail, metering mail, etc. Be as specific as possible. Next, write down all the other duties – printing, receiving, couriers, office supplies, whatever. Look for the common threads and words shared by these responsibilities. “Service” is probably one of them, and perhaps “customer” is too. Circle or highlight these words in a different color marker. At this point, your department’s name is probably already jumping out at you. If possible, choose action words that get to the heart of the matter. People reading the name should immediately understand what the unit does. If your operation only handles mail for one aspect of the company or college, include that name in the title. You may choose something like “Corporate Mail Operations” or “North Campus Mail Services”. Check to see what type of acronym is formed. You’ll want to do this for two reasons. First, you don’t want an accidental acronym that is insulting. Also, many companies use acronyms for most departments, so you don’t want to choose one that is already used by another unit. You want to choose a name that proudly states what your unit does. Although it’s the lifeblood of most companies, the mail department isn’t always held in the highest esteem. The anthrax scare helped many organizations become aware of their mail departments and the professionals that run them. Build upon this respect and ensure your name reflects that. Once you’ve come up with the new name, you can now start the exciting process of publicizing the change. 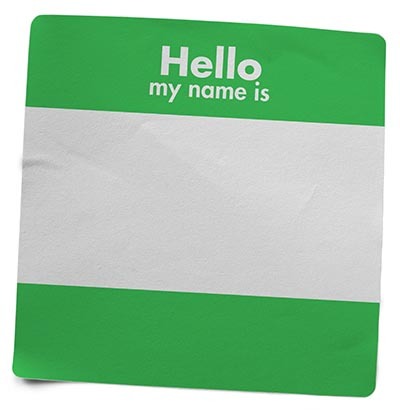 Develop a campaign to notify everyone in the company about the new name. Work with the marketing and human resources departments to make sure the message gets to everyone. Include information on the different services your operation provides, along with contact numbers, in all your communications. Hold a “Mail Services Open House”, inviting the company to tour your area and meet your employees. Have some fun. Reinforce your role through the new identity you’ve developed. When you introduce yourself at meetings, clearly state the name of your department. When someone uses the old name, politely correct the person. You’d do the same if they pronounced your name incorrectly, wouldn’t you? A rose is a rose is a rose, but a well-run mail operation is an important part of your company that deserves a name of its very own.